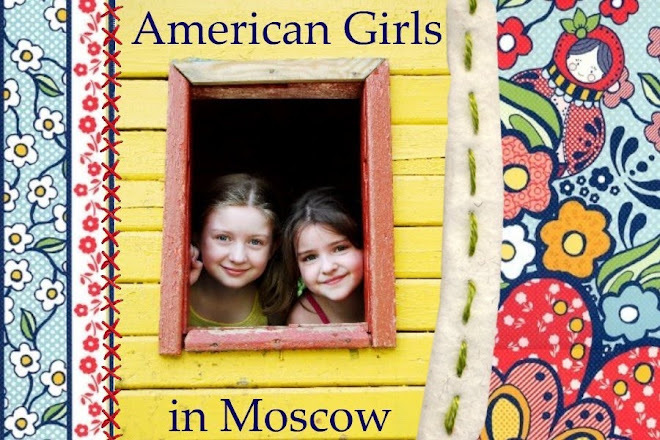 American Girls in Moscow: Not So Bad Being Stuck! They both ended up LOVING it. Best missed photo/video? Natalia taking a whiff of her penny, only to realize it STINKS. She eyed me, sporting a "Why?? What have I done to deserve such stench?" pitiful and pleading expression. I remember how much our pennies used to stink when I was in middle school and junior high, too! I felt like quite the inadequate soccer mom tonight, though! I hadn't packed enough water, I didn't think to pack a snack, and I hadn't planned on staying so I had no lawn chair/personal beverage/reading material... Then when my mom came, I took the dog for a little walk to cheer on the girls and she made a very large (even by dachshund standards) contribution to the field. Thank goodness I had the baggy from the crackers another mom had shared with my girls! Even Liesel discovered a real passion for the sport! I'm so glad that I found the article in the town paper about soccer camp. The girls are going to have a good week. Too bad it's too hot for Liesel (alia Soccer Dog) to go and run around. Now, I came prepared with water for Zhen's football camp - but do you think he would carry it out there? 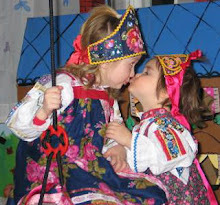 Why are ALL of my kids - bio and adopted so darned fearful of looking "different"? Or, doing anything even slightly different than someone else might do? So, in their fear, they obviously end up looking totally ridiculous! Unfortunately, I fear it redounds on me in too many cases.